If you’re still trying to get a handle on how to perfect your search engine optimization strategy, here’s a new tidbit to digest: SEO is no longer limited to the written word. That’s right, the traditional SEO rules you were just starting to get a tenuous grasp on will probably be outdated soon, as the focus shifts more to voice and visual searches these days. The truth is that how we approach SEO is changing, and you need to be prepared if you want to see SEO success in 2019. Here’s what you should know. If you’ve heard of—or even experienced for yourself—the success of smart home devices like Google Home and Amazon Echo, you have some idea of what voice search is all about. There’s also Apple’s Siri and Microsoft’s Cortana available on smartphones and computers. Basically, any time someone asks a question or makes a command to one of these AI options, they’re using voice search. 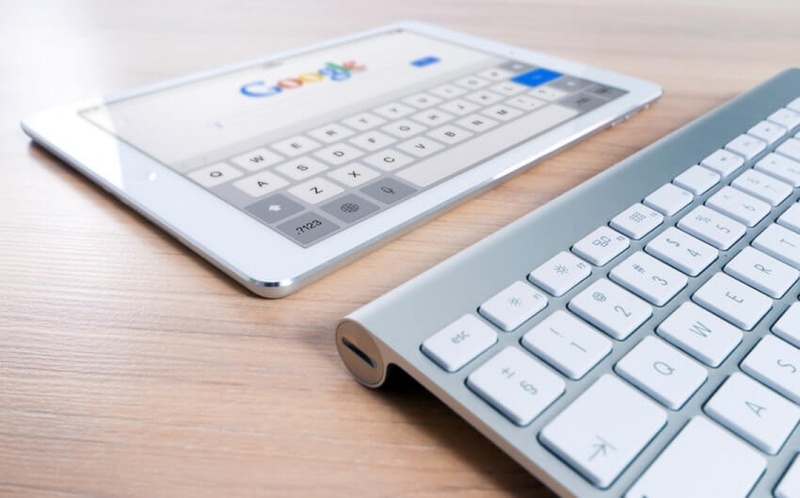 Sure, they could type the question into Google and get rewarded with results, thanks to traditional SEO tactics revolving around the written word. But they’d prefer to use their voice to ask their smart home devices, and to hear a voice respond back with the answers. Now do you see why how we approach SEO has to change if you want to reach the masses? If you’re still not convinced, here are some facts to know when it comes to voice search. As of 2017, 40 percent of adults used voice search devices on a daily basis. Experts think that by 2020, about 50 percent of searches will be done by voice, so don’t expect this trend to go away. Instead, you should adapt to it. You can start by keeping in mind that 52 percent of people who use voice search want brands to use it to give them information about sales and special deals. And when you start doing this, make sure the content is clear, concise and truly helpful, with no more than about 30 seconds of content—or up to three sentences—per segment. So, for every voice question you want to answer for your audience, provide a response that is short and to the point! Another tool that changes how we approach SEO is the advent of visual search. For years, Google has allowed consumers to upload either a picture or the URL of a picture to Google Images, and get a page of search results in return. That’s the gist of visual search. So why is it just now changing how we approach SEO? Well, the technology has gotten better over the years, for one. Now visual search can study and compare every pixel of a picture before responding with search results that match when it comes to the color, size, shape and other details. For example, if you have a picture of some red shoes and you want to find out where you can buy them, then instead of trying to type a description of the shoes into Google, you can upload the picture and see a page of search results. Currently, the main visual search options include Google Lens and Pinterest Lens, but there’s also Bing Visual Search. And you can expect additional companies, including Amazon, to get in on the visual search game soon. After all, Pinterest sees more than 600 million visual searches on its platform. So, you want your brand to show up on visual search result pages for sure. If you want to find success with this new twist on how we approach SEO, start by ensuring you have several images ready to go for every page. You should also host all your images on trusted pages and ensure their file names have related keywords in them for even better SEO results. Clearly, we’re going to have to change how we approach SEO to account for voice and visual search if we want to keep up with the latest tech trends. Unfortunately, not all marketers plan to. For example, according to a 2017 survey by BrightEdge, 31 percent of marketers agree that voice search is going to be big—and yet 66 percent do not have any plans to adapt their marketing strategies. But maybe you’re different, and you actually want to stay on top of the latest, most impactful marketing techniques. If so, you might need some help along the way, and companies like BrightEdge can offer you the tools to keep you on the right track. Eric Vidal, an industry expert with over 25 years of marketing and technology experience is passionate about providing insight and education on the latest martech trends and techniques. Eric speaks and writes for various publications like The Marketing Scope and Future Of Work to name a couple. He’s also a Principal Analyst at Futurum Research where he follows and writes about marketing technology. Eric has been a marketing leader for companies of all sizes. He has extensive experience working to achieve measurable business results for organizations like IBM, Cisco, WebEx, Canon USA, West Corp., Dynamic Signal, adidas, SAP and more. Connect with Eric on LinkedIn.